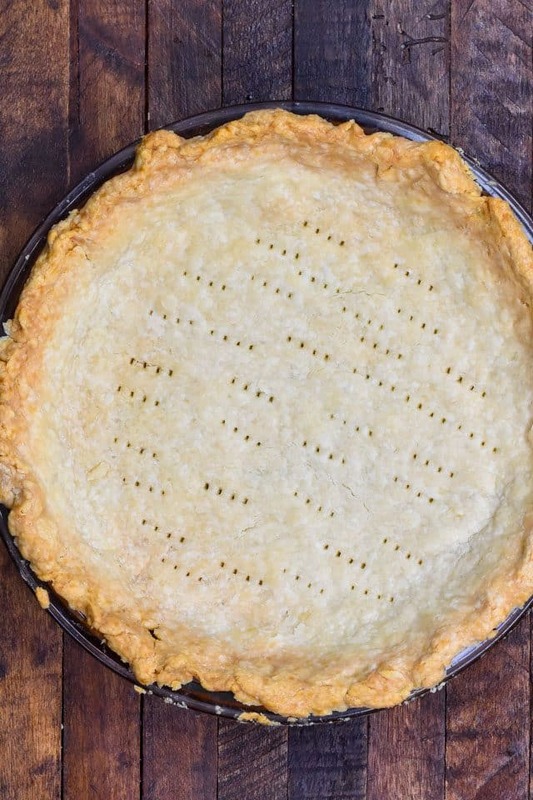 This tutorial will show you how to blind bake a pie crust for any filled pie recipe! Pre-bake your pie crust to make a pie with an unbaked filling like a cream pie. Have you ever heard the term “blind bake” before? Blind baking, or baking blind (or pre-baking) is the process of baking a pie crust without filling. This method is used when you’re going to be filling a pie crust with an unbaked filling, like a cream pie or lemon meringue. 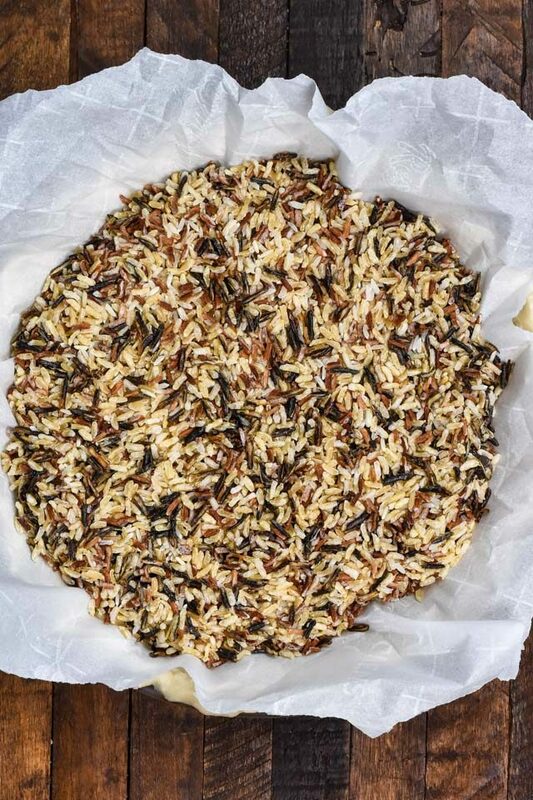 Blind baking isn’t just as easy as popping a pie crust in the oven. Pie crust is a delicate thing and baking it without using the proper blind baking process will cause breakage, bubbling, or shrinking. I’ve tried blind baking with so many methods over the course of my life but this easy method is the one that always works without fail. If you blind bake a pie crust using this method you will not have any shrinkage or breaking of your pie crust. 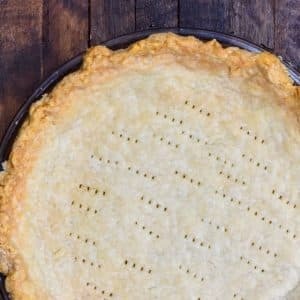 So, how do you blind bake a pie crust? 1. Keep the pie crust COLD before blind baking. You want your pie crust to be absolutely cold before baking, especially if you’re using my all butter pie crust. Butter has a lower melting point than shortening so it will shrink more than a shortening crust. Keeping the pie crust cold will eliminate shrinking or melting. Chill the pie crust for at least 4 hours in the refrigerator or freeze for at least 30 minutes. You can also bake my pie crust recipe (or any one, for that matter) straight from the freezer. 2. Use some sort of pie weights to weigh down the pastry. Pie weights are what a lot of bakers and chefs use to blind bake pie crusts, but you can definitely blind bake a pie crust without weights. I, in fact, don’t even own pie weights. They’re an added expense and then I need to store them. Why use pie weights when you can use something you already have in your pantry? Note that you won’t be able to cook with these things after you’ve used them for pre-baking your pie crust, but they’re easier to use in a pinch. Regardless of what kind of weight you use, parchment paper is a MUST to shield your crust from whatever you’re filling it with. 3. Double baking ensures a crispy crust that’s fully baked. 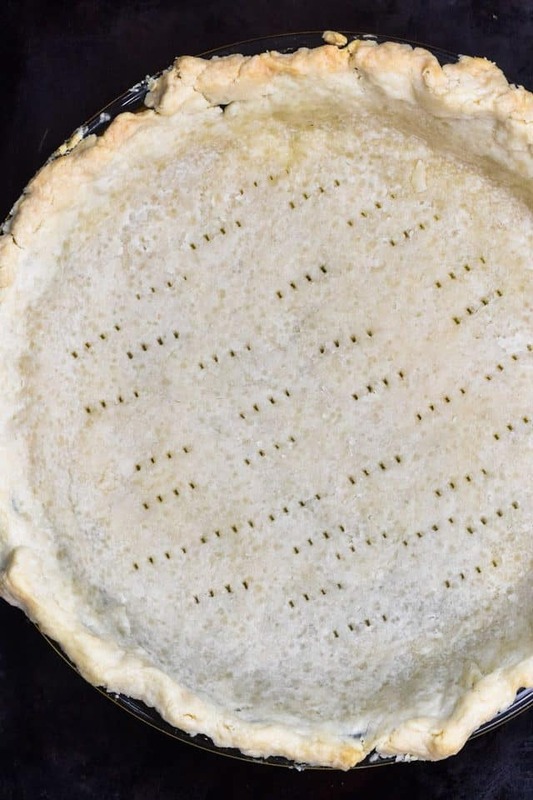 I double bake my pie crust when I’m blind baking. I bake it first with the weights to start baking the edges, and then I remove the weights to bake it again to ensure that the bottom is crispy and completely cooked through. Be sure to mark the bottom of the crust with the tines of a fork to prevent bubbling of the pastry before you pop it back in for the second bake. How long does it take to blind bake a crust? 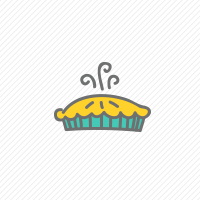 It takes about 40 minutes to fully blind bake a pie crust. Once it cools, it’s ready to fill with any cream filling or pie filling! Blind baking a pie crust ensures a crispy crust that won’t shrink or bubble during baking! Blind baking a pie crust is important for when you're making a pie with an unbaked filling, like a cream pie. This method will make your pie crust perfectly pre-baked. Prepare crust as directed in recipe. Place in pie plate and crimp as desired. CHILL the pie crust for AT LEAST 4 hours or freeze for 30 minutes to one hour before baking. Place pie on a cookie sheet. Bake for 20-25 minutes, or until the edges of the crust are starting to brown. Remove the crust from the oven. Carefully remove the parchment and pie weights. 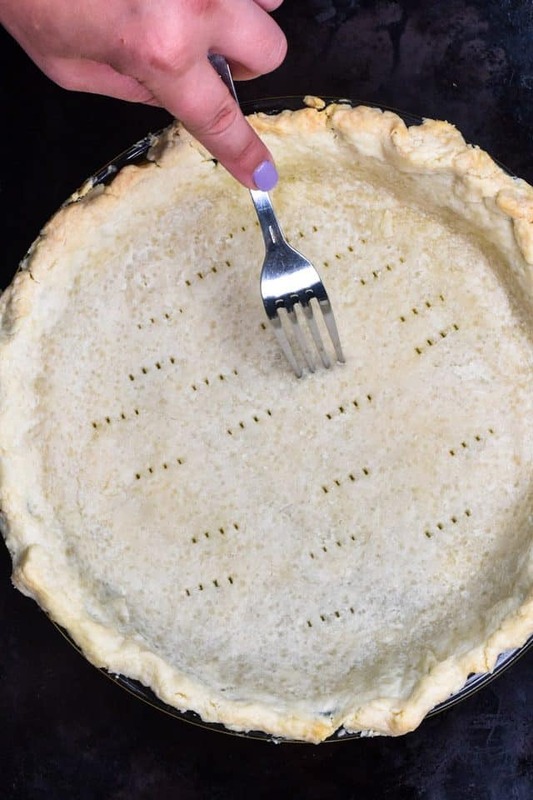 Using a fork, poke holes all over the bottom of the crust. Bake for an additional 20-25 minutes, or until crust is browned and cooked through. Cool before filling as desired. Be sure to check out my tutorial on how to make the best pie crust and also check out my list of pies (and no bake pies too, for all your cream pie desires). 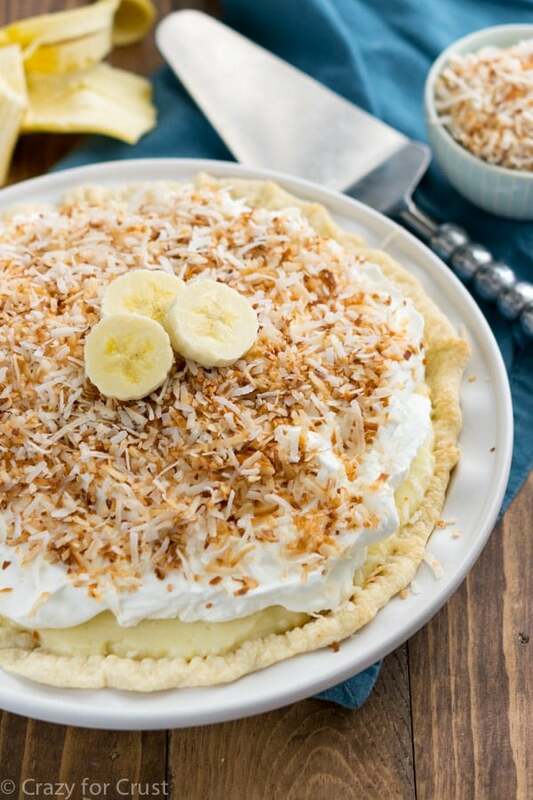 Coconut Banana Cream Pie has a delicious homemade filling! 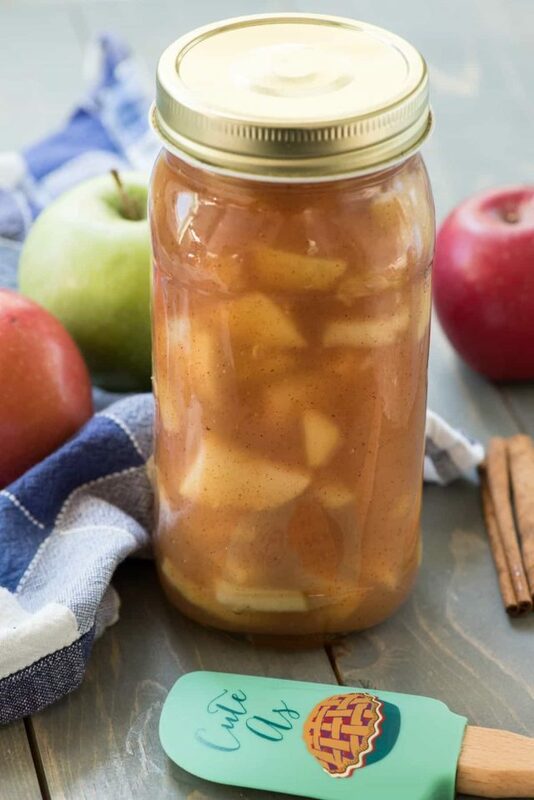 Apple Pie Filling is the perfect filling for a pre-baked crust.